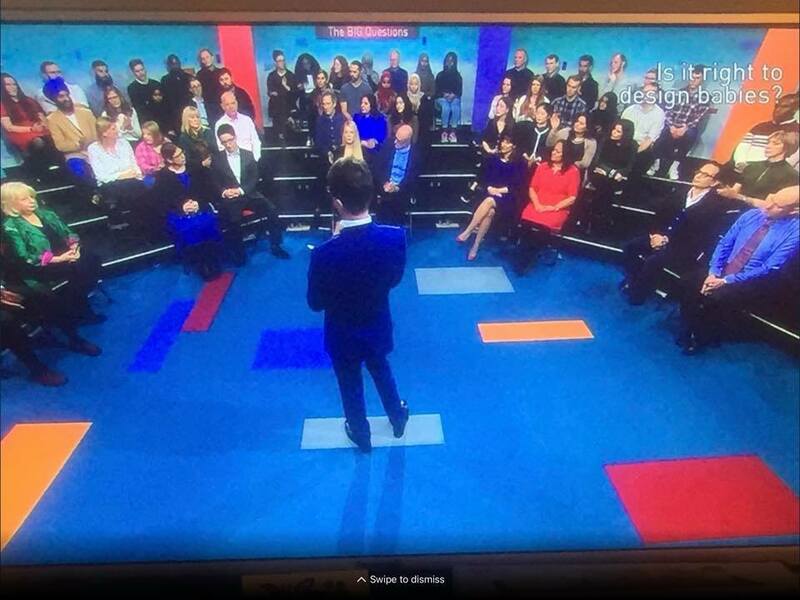 I appeared as a guest on The Big Questions, BBC1's topical debate show, which came live from the Heartlands Academy in Birmingham and was presented by Nicky Campbell. The topics discussed were: Is it right to design babies? Should museums give back other nations' treasures?